The abundant rain last week and the warm weather this week pushed the season into full-on spring mode. There are tadpoles in the creek, there are buds on the achillea and the monarda, and there are dianthus everywhere! So many dianthus. We tucked those babies into the bunches this week, along with these pretty purple bachelors buttons. They both last so long in a vase! We got a kick out of watching the royal wedding last Saturday - did you see all the flowers?! They were fantastic and local and abundant, just like ours :) We loved the green and white theme of the bride's bouquet but now that the wedding is over, it's time to put in ALL THE COLORS! P.S. 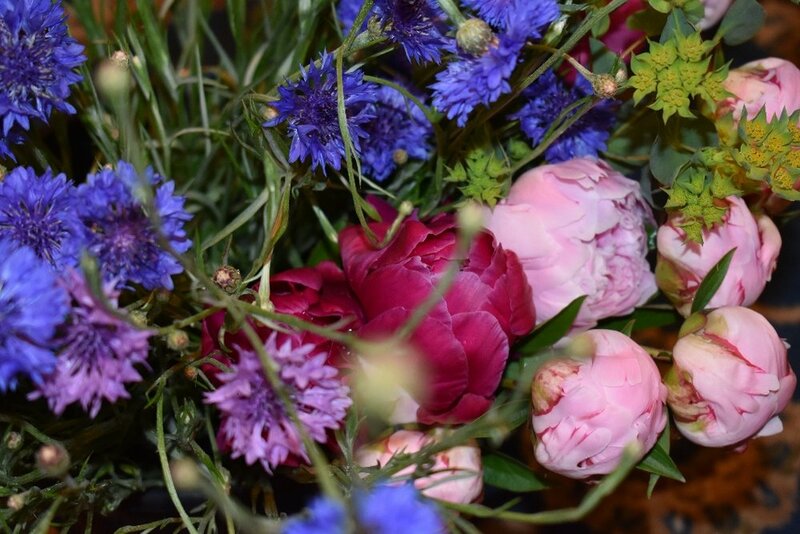 Want some beautiful flowers delivered to your door? Check out our Sunday Summer Deliveries!